We have earned the Institute of Inspection, Cleaning and Restoration Certification – IICRC. Additionally, our technicians have over 25 years of experience. Simply discuss your opportunities with your MPS representative who can custom tailor each service to your specific needs. We can tailor a specific service plan to your company’s unique needs! 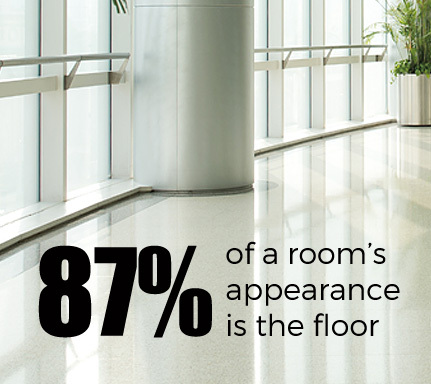 that 87% of a room’s appearance is the floor. In fact, it is one of the main features that is noticed first; and in today’s fast-paced society, you only have a few seconds to impress. MPS, Inc. works with you to ensure that your flooring helps give the right impression – a professional and pleasant environment.